Honeymoon in Kerala is truly incredible. 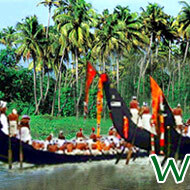 Spend your honeymoon holidays in Kerala and make your honeymoon an unforgettable experience! What can be a better place than Kerala to start a new phase in your life together? The backwaters of Kerala take you to an unforgettable paradise, setting the right mood for a romantic and mesmerizing honeymoon in Kerala. Just imagine you and your beloved relaxing on a houseboat and floating along the tranquil backwaters of Kerala! As you set sail for a backwater cruise in the traditional Kerala houseboat, you get a majestic feeling along with your sweetheart! Traveling through the placid waterways, you will feel the murmur of rippling waters, the whisper of the wind rustling among the palm fronds, and the sound of birds, making your honeymoon in Kerala a true romantic and unforgettable experience. While exploring Kerala on your honeymoon holidays, you can try a lot of different things. As you anchor on the banks of Kerala backwaters, you can romance in the star-lit sky and wake up to a beautiful countryside on your honeymoon in Kerala backwaters. Along with the beautiful Kerala backwaters, there are a whole lot of things that you can explore with your beloved on your honeymoon in Kerala. You can choose from among various tour options for your honeymoon holidays in Kerala and cherish the sweet memories forever. 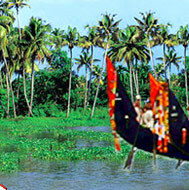 Honeymooning in Kerala is truly amazing and exciting. 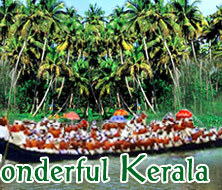 With all the settings at place for a perfect honeymoon, Kerala is surely a honeymooner's paradise in India. The beautiful beaches, lakes, backwaters, hill stations, wildlife, pilgrim centers, houseboats, and various other tourist spots - there is hardly anything missing to make your honeymoon truly memorable and enjoyable. To showcase the best possible facets of Kerala, we have designed several packages for your romantic holidays/honeymoon in Kerala. With natural beauty, cultural settings all around, and romance in the air, you can enjoy every bit of Kerala with your beloved throughout your honeymoon in Kerala.